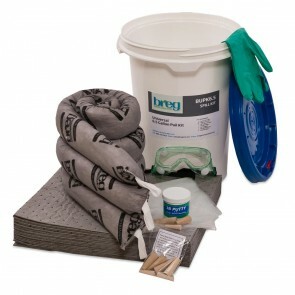 Breg’s Pail Kits are designed for quick response. 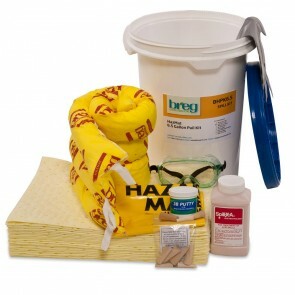 Mount these kits to your wall or truck and just grab the sturdy handle and carry it to the spill site when needed. 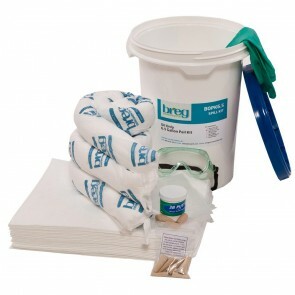 The reusable, screw-top polyethylene pail is great for temporary storage of used absorbents prior to disposal OR order a refill kit and save some money!